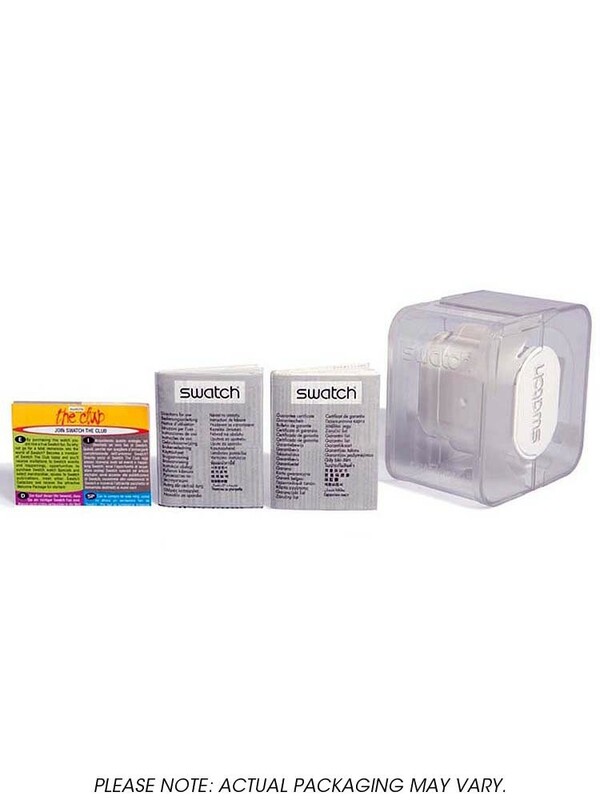 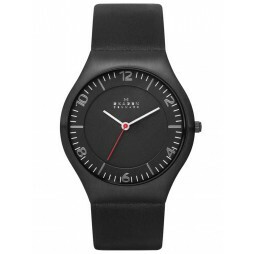 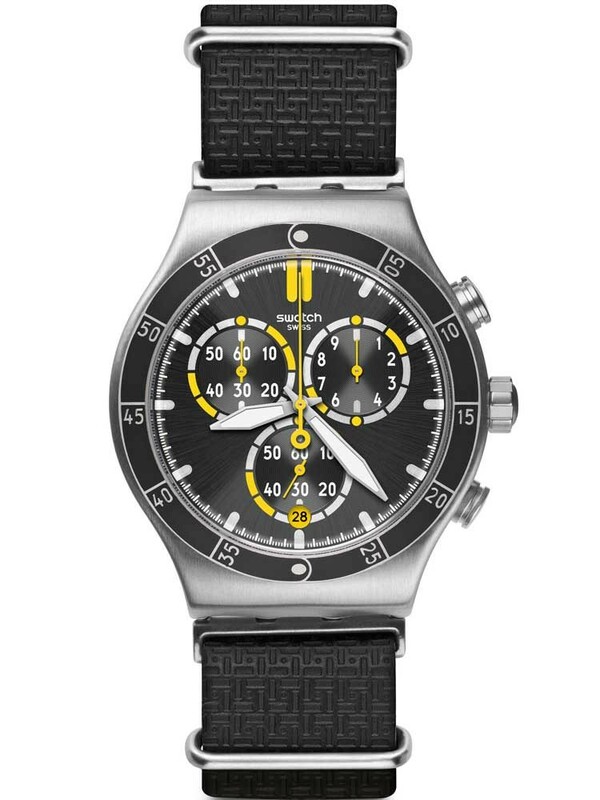 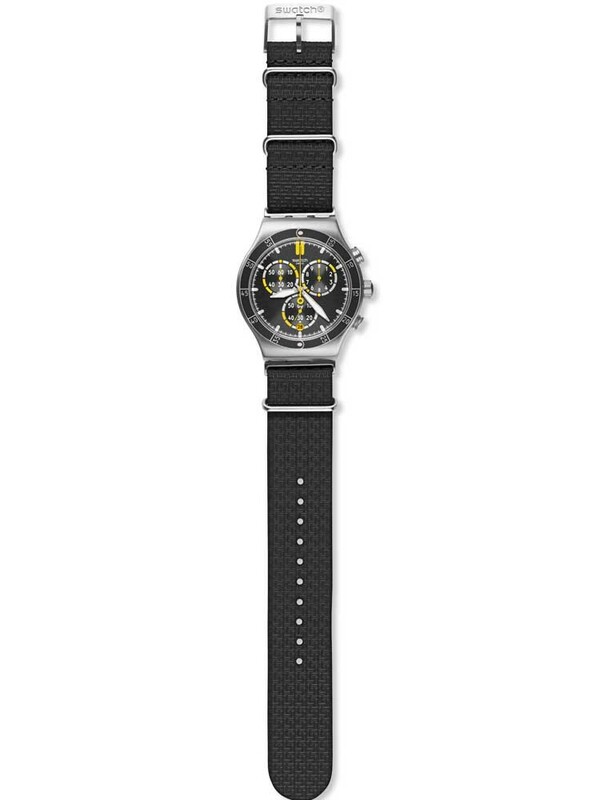 A stylish mens strap watch from the fashion forward designers at Swatch. 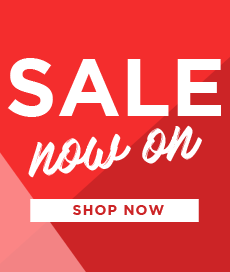 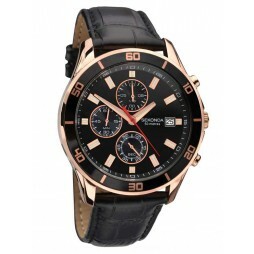 Crafted in a durable stainless steel case the round black dial features accurate indices, chronograph sub-dials and a date window, with a comfortable textured black leather strap. 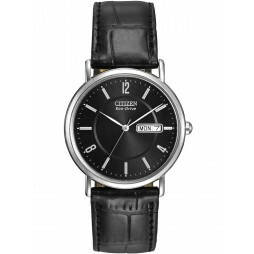 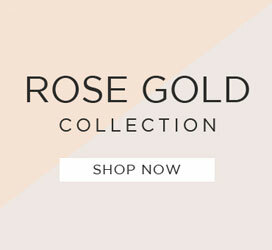 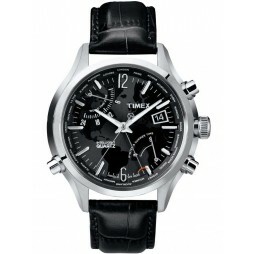 Encompassing style and practicality, this timepiece makes a stunning everyday wear, buy with confidence.